After an Uber ride from the Westin Lima to the airport that costs us 37 Soles (~$12), we were dropped off curbside at the airport terminal. Upon check-in, I noticed there was a change in the seat numbers that I had pre-selected after booking the flights. A quick check shows there was an aircraft swap from a Boeing 787 to an Airbus A330 which is definitely inferior. Oh well, it is for a short sub 3 hour flight anyway. 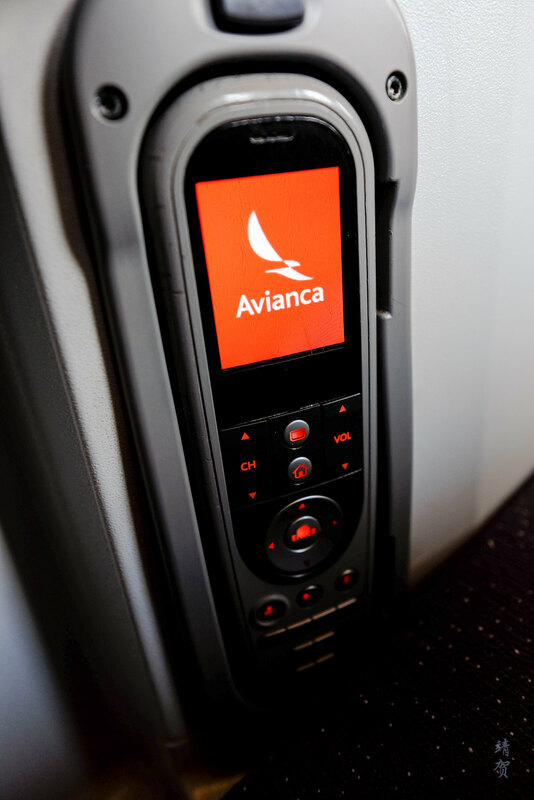 There was also no lounge in Lima airport for Avianca’s Business Class passengers. 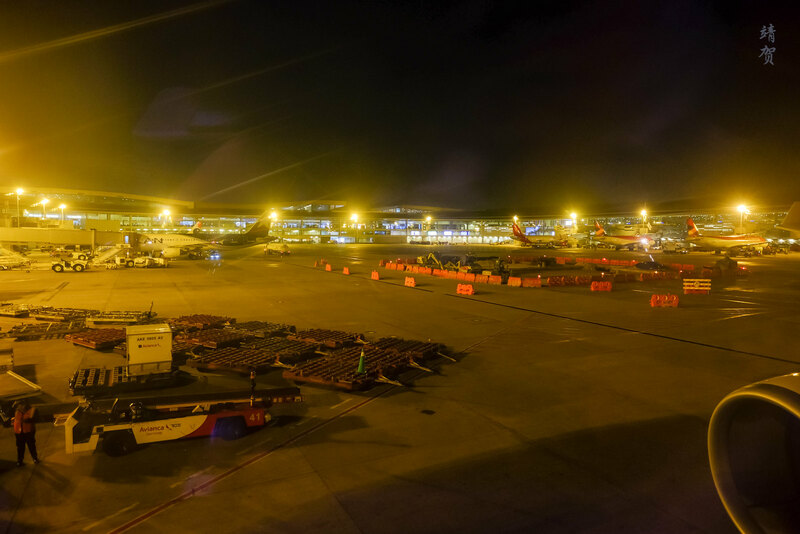 Instead a USD15 voucher was provided for passengers along with a code for premium wifi log-in. 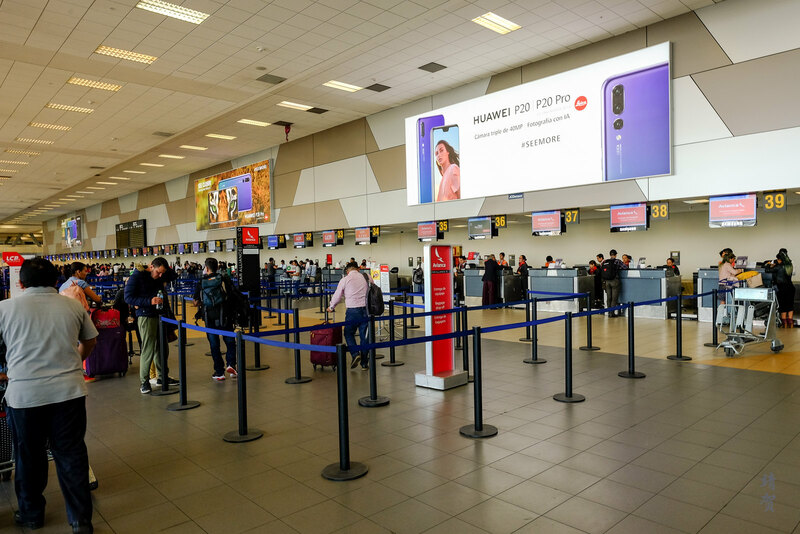 This coupled with long queues for security and a lack of fast track or priority lane for Business Class passengers meant I was disappointed from my experience at Lima airport. 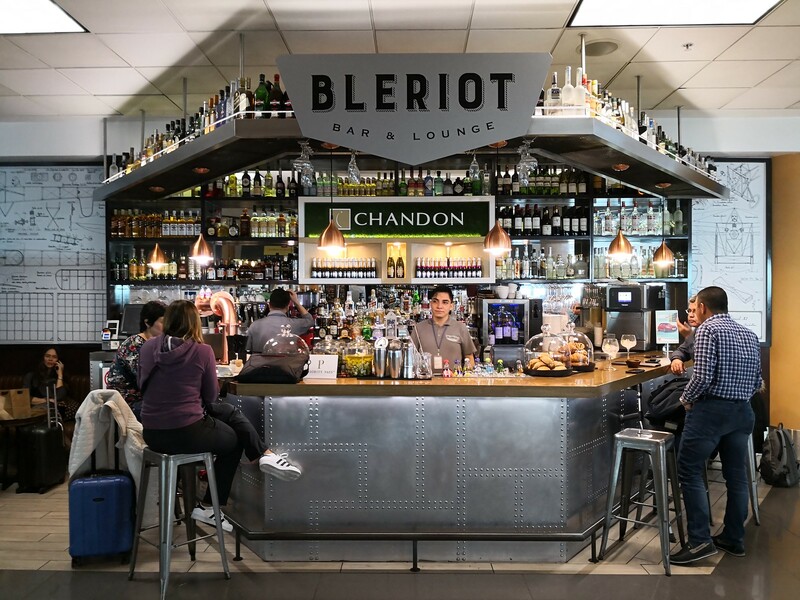 The food voucher could be applied to orders in the La Bonbonniere Restaurant or the Bleriot Bar & Lounge, both of which are located close by the departure gates of 19, 20, 25 and 26. Since the Bleriot bar has limited seating, I chose to get something from the restaurant. With just $15 to spend per person, the choice is limited to one pasta or sandwich with most of the main courses costing more than $15. 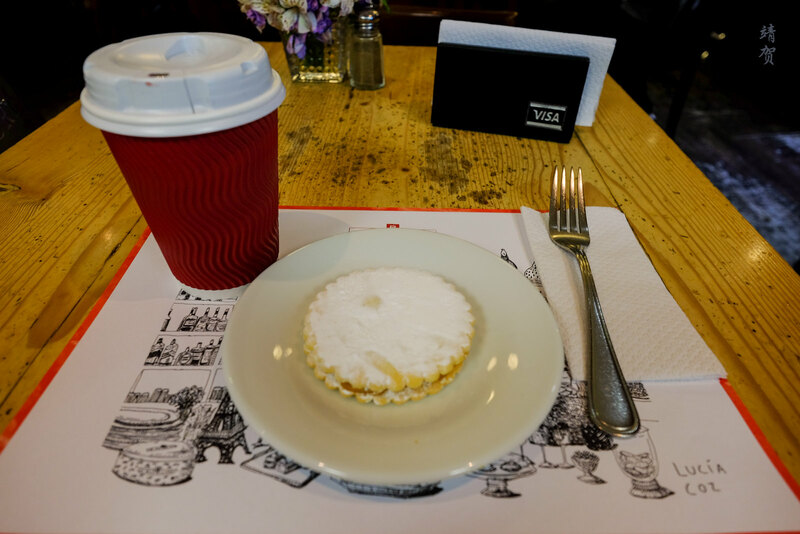 Since we just had lunch, I applied it to a dulce de leche cookie and one cup of coffee which was less than the $15 value but it sufficed. 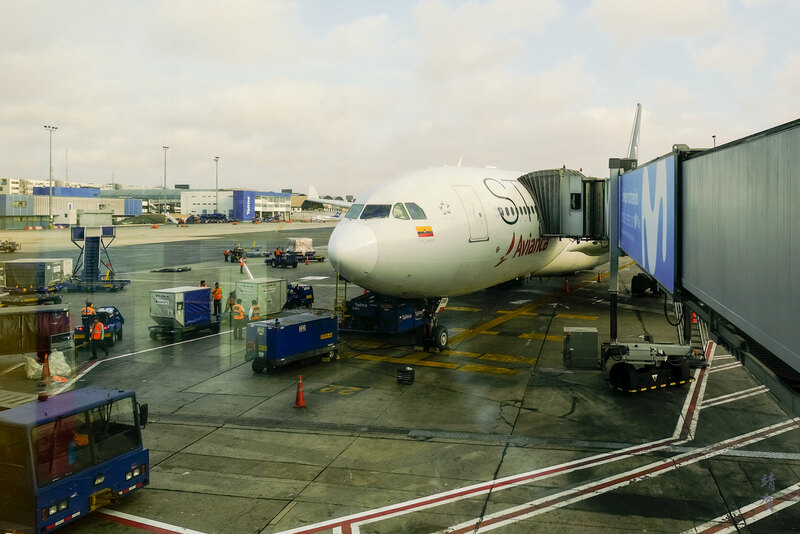 For this flight, we had Avianca’s Airbus A330 with the Star Alliance livery, and it was easy to spot our plane from the waiting area by the gates. 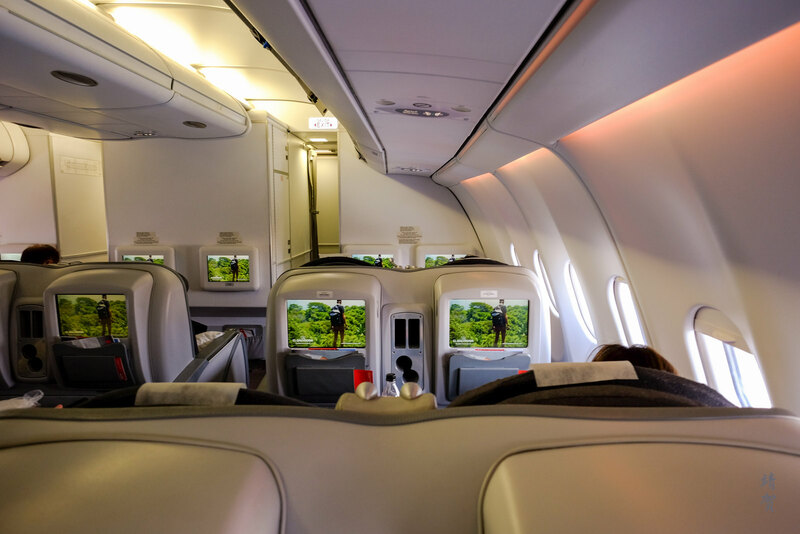 Business class on this A330 only comprises of 3 rows of seats in a 2-2-2 configuration in the front section with a more compact 2 rows of seats in the back half of the Business class. 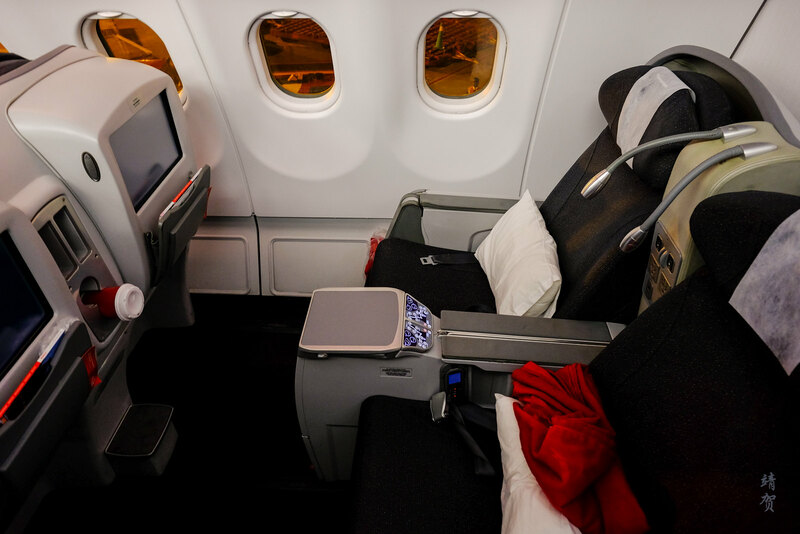 The seats were of an older generation similar to the regional Business class seats on Thai Airways. 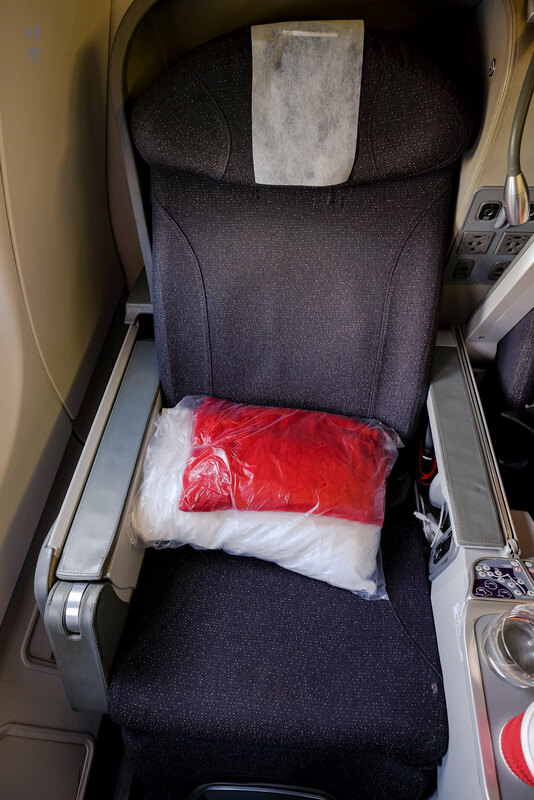 Placed on the seat was a blanket and pillow, while the headset was already opened and plugged in under the armrest. 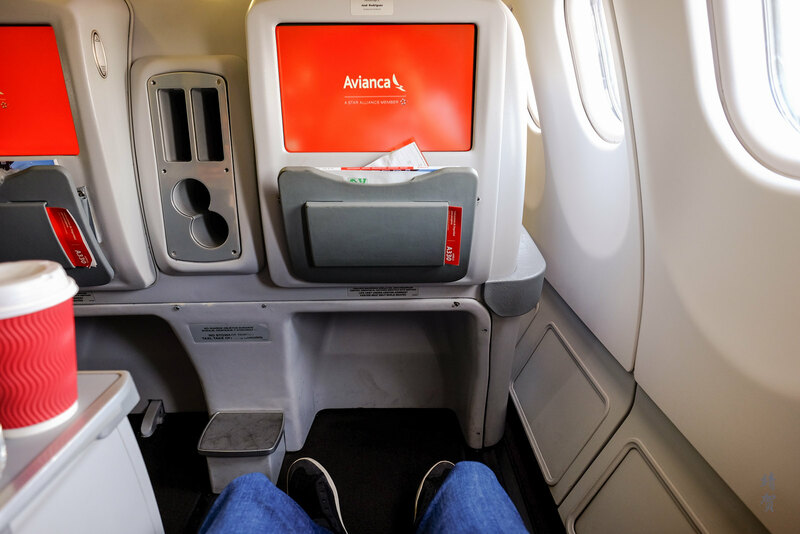 Upon being seated, I noticed the seats were quite worn out but the legroom was very good for a short regional flight. In the seatback there was a good sized monitor with pockets for the inflight literature while there was some storage space in the middle with a bottle holder below. 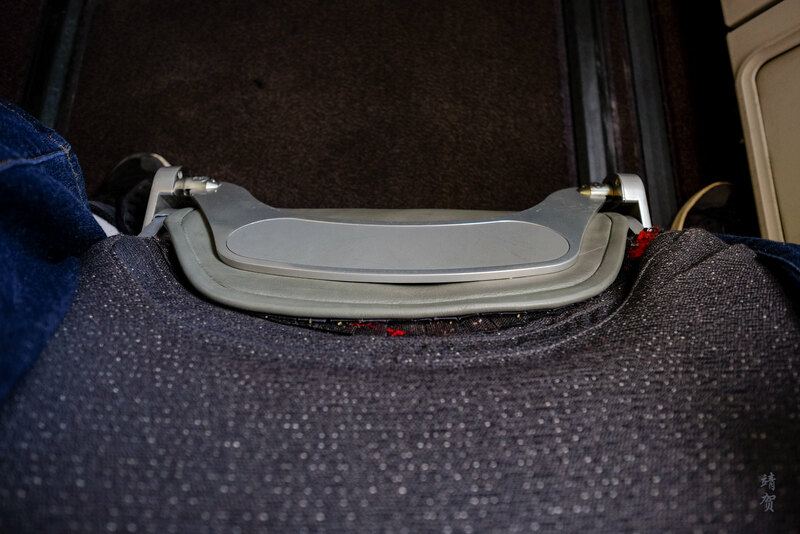 On the bottom of the seat, there was a foldable leg rest, which is common amongst the angled flat seats in Business Class. Orange juice, water and sparkling wine was offered as welcome drink. 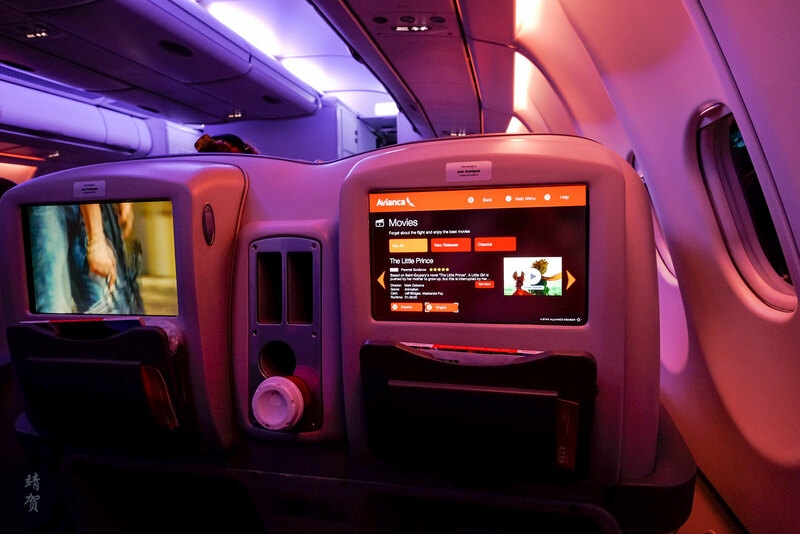 Advertisements and previews meant the entertainment system was not usable during the taxi to the runway, so it was a bit of a bummer. Speaking of which, the inflight entertainment system is controlled by one of the more common remote. This remote might be of the older generation but being quite familiar, I found it easy to use. During the taxi, many LAN jets could be seen along with an Air France Boeing 777-200. I also noticed a single odd Southwest 737 on the tarmac. Taking off in the sunset under nice weather meant there was plenty of nice views to be had which glued my eyes to the window. 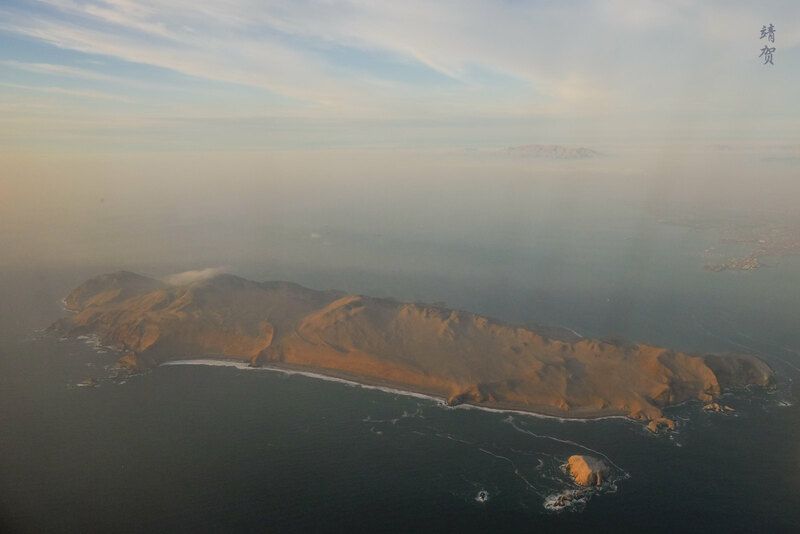 Our route brought us to the Pacific first going round the offshore isles of Lima before turning northeast back into the South American continent. At this point, I was able to recline my seats using the controls by the arm rest. 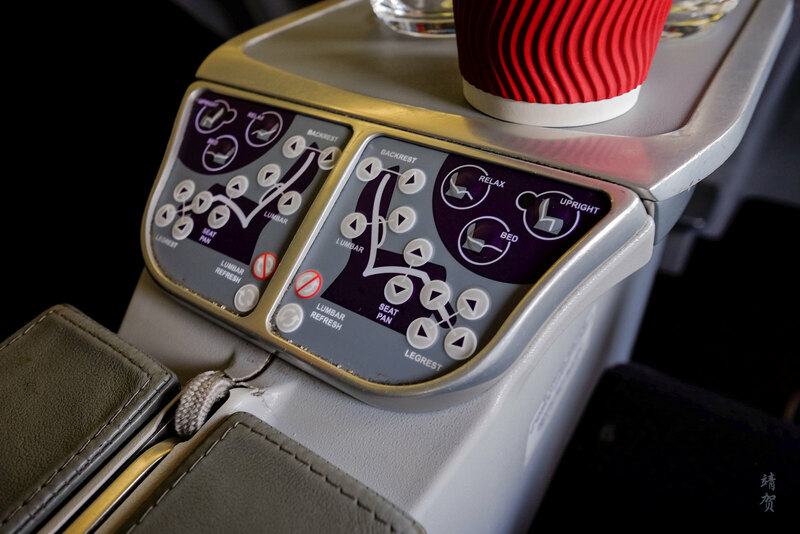 The controls have 3 pre-sets, one for take-off/landing, one for relaxing and another for sleeping. Other than that there was a working adjustment for the lumbar support so this was a nice seat for a 3 hour flight. 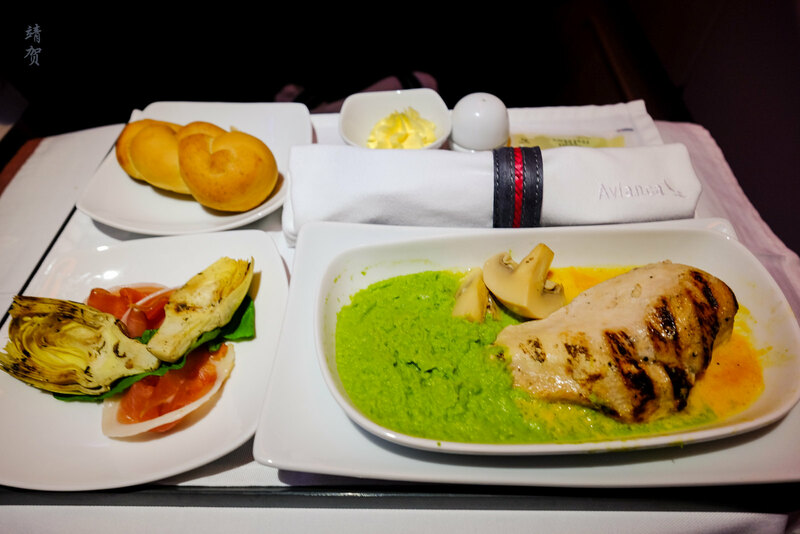 Meal service started about 20 minutes into the flight. Choices was chicken or a pasta dish with no menu provided. I picked the chicken dish and the main course tasted alright. The appetizer plate contains a sliced prosciutto with some kind of grilled artichoke which did not look very appetizing. Bread was served from the basket for the meal and a small plate of butter was provided in the tray. 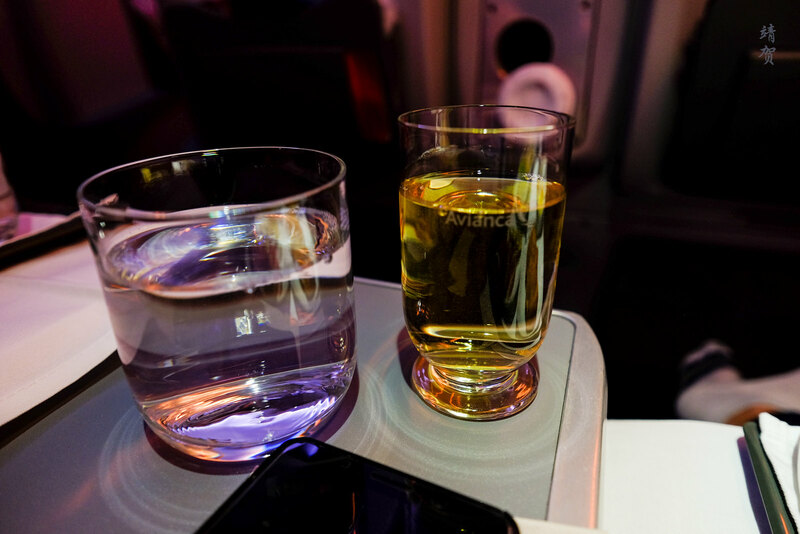 Wines by Aliwen was served onboard the flight. White wine choices was between Sauvignon Blanc or Chardonnay by Sibaris. I had one of the white wines to go with my meal. 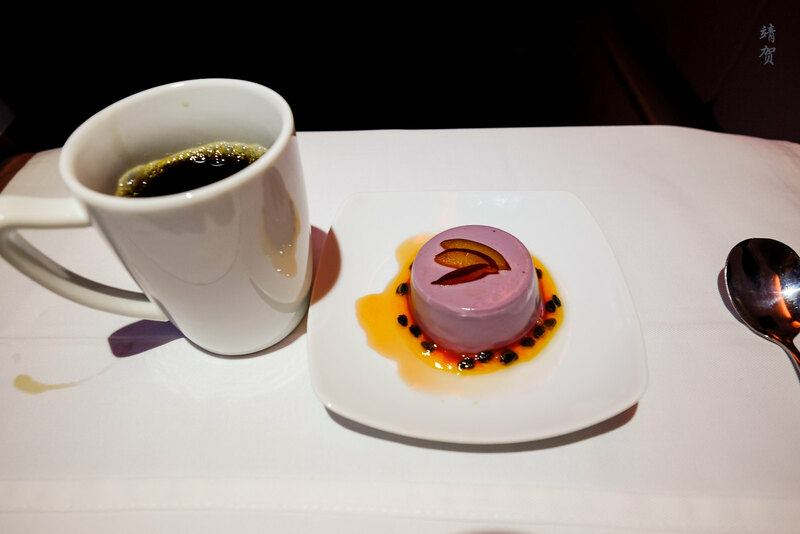 Dessert served after the tray was collected and it was some berry panna cotta while tea or coffee was offered by the crew as well. The tray table for this seat configuration was stowed in the side armrest. It does make it somewhat difficult to egress out of the seat when the table is out. 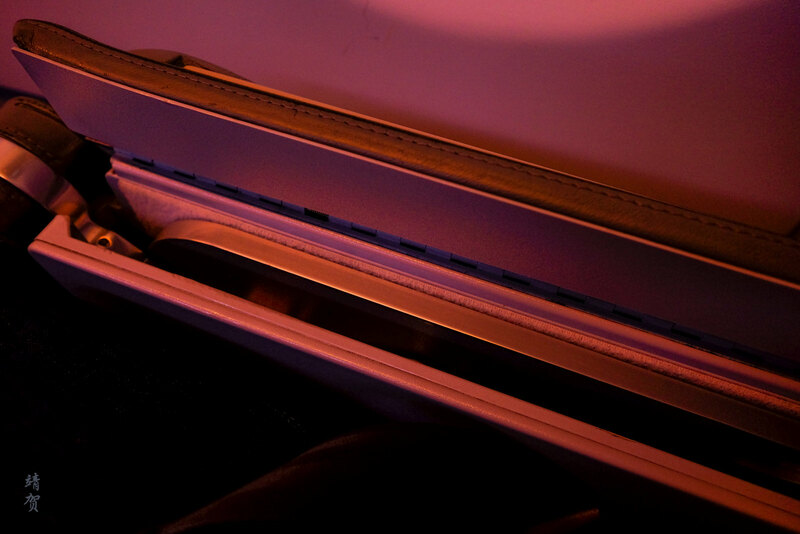 After the meal, the cabin lights are dimmed for passengers to rest. Entertainment system lost volume during the flight as well, thus I went to sleep after the meal service. Angled flat seat was comfortable for this short flight. 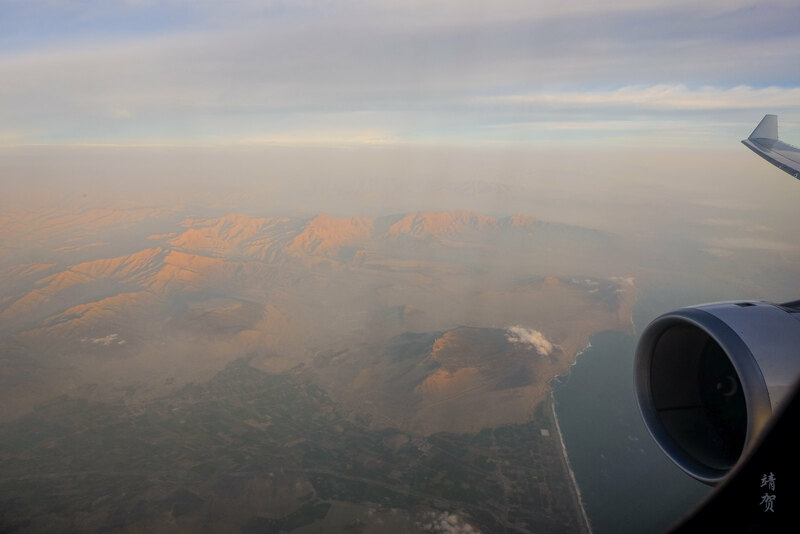 It was a short nap as well before the captain made the announcement of our descent into Bogotá. 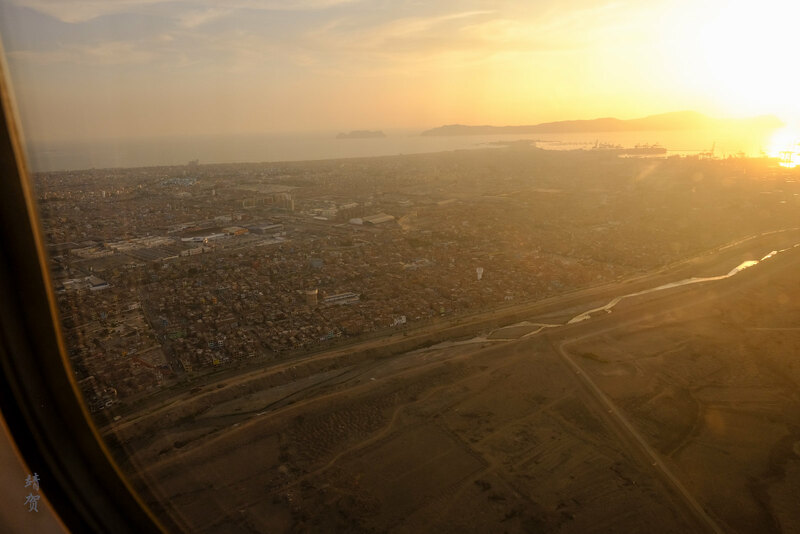 A smooth landing into Bogotá was followed by a long taxi towards the gate. 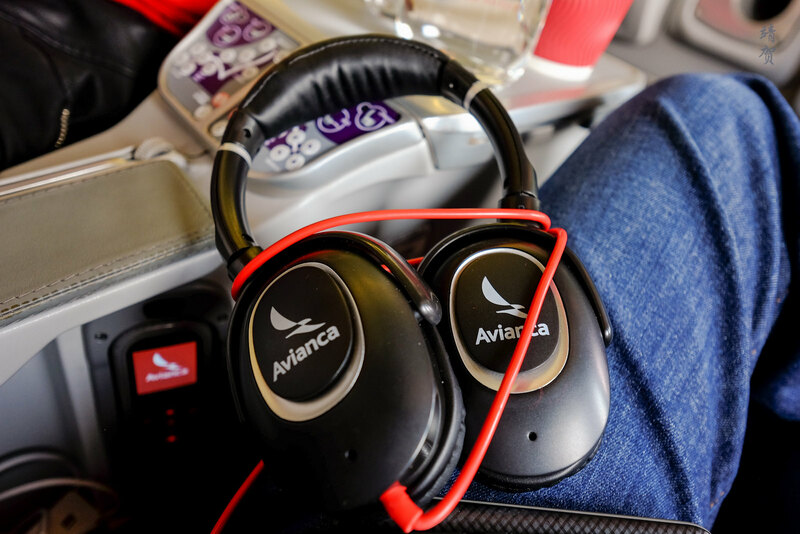 With a transit, I would write about my combined experiences in the Avianca lounge in the next post. For this flight, the plane change to an older A330 was definitely a minus considering the 787 was much better. 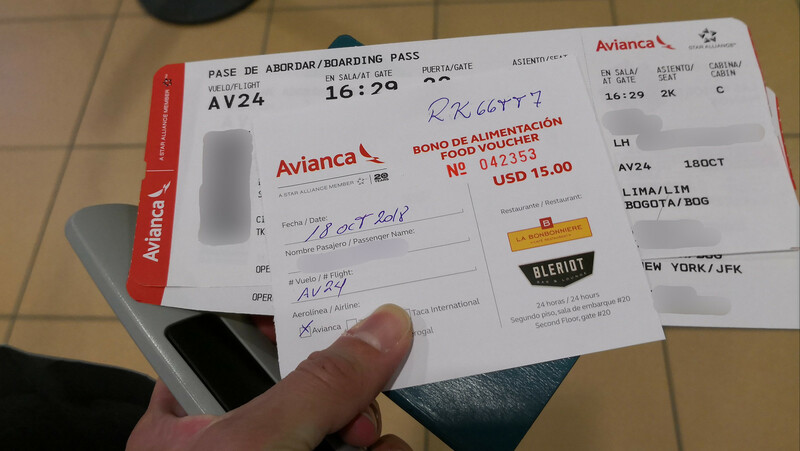 Catering onboard Avianca was just average in my opinion and could have been better. With that said, this seems to be more like an average Business class flight.